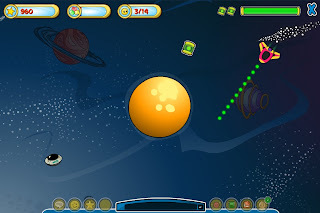 We bring you all Little Space Heroes Cheats! We bring you Cheats | Glitches | Exclusives and more! Hello, astronauts! Astronomical here! We at LSHNews are going to have a new segment each FRIDAY called "Spacepad of the Week". We choose the most creative spacepad to go here! So, decorate your homes and start sending us some pictures in the comments below, and your spacepad could be featured HERE! This week, we have Kaz' spacepad featured! Very awesome, right? Well, make sure you leave snapshots of your spacepad below and it could be featured here next Sunday! Hey there heroes! Astronomical here! Long time no post! Well, the team at LSHNews is still alive, no worries! I've just obtained some information from the CEO of LSH, Paul Gray! Check out these ACTION-PACKED screenshots, and updates that WILL come in the future, and what they mean! Party people say YO! Don’t worry about crashing the party, the whole universe is invited to party with us! 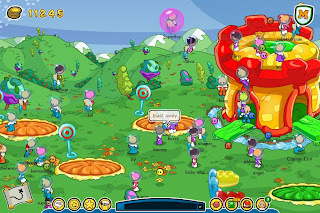 Every single day in Little Space Heroes, players can enjoy random ‘Pop-up Parties’. 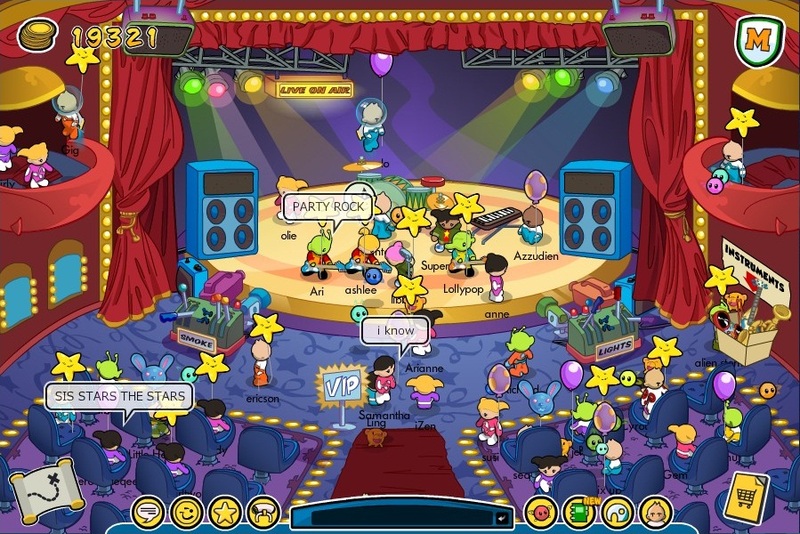 When the party master sends the signal, heroes can get together and rock out on stage in Starstruck, boogie at the Moon Rock Disco and go on intergalactic adventures and treasure hunts. Sometimes we kick off massive bubble blaster battles and other times we explore different planets. 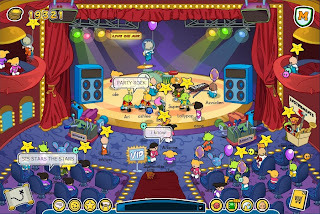 There’s always loads of fun and players can enjoy special party balloons and pins. What are you waiting for? Better get a wiggle on! 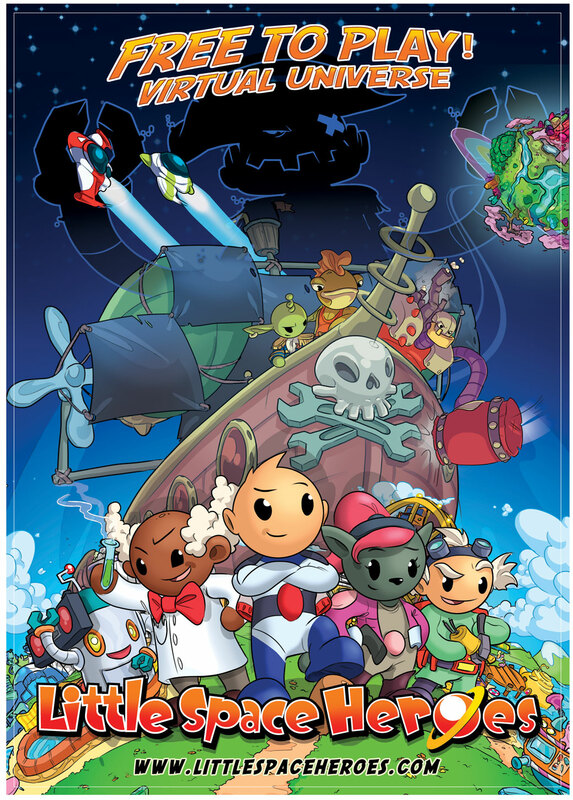 Worm Farm Mania: Our space heroes have been reaching for the stars. Now they’re learning to reach for the ground! Heroes have found the new Greenhouse on the Jungle Planet and are discovering how to wriggle their way through soil to nurture wholesome plants! 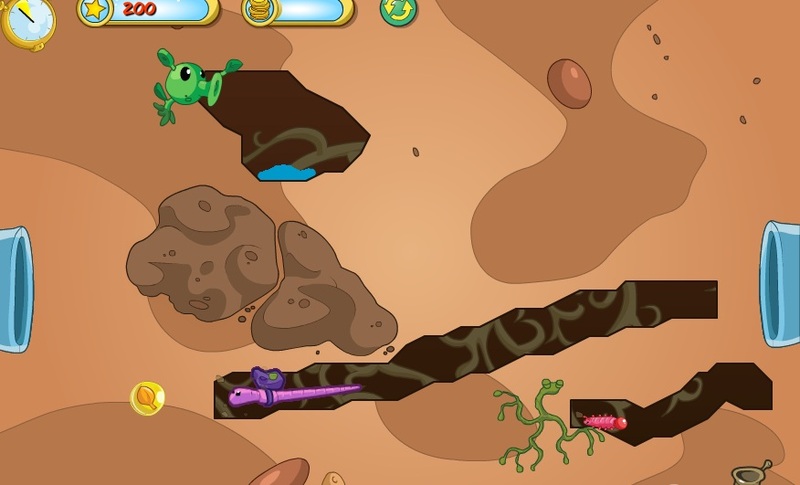 Heroes have to use their minds to lead worms through puzzles to help plants grow. The elements of life are there: seeds, water and…caterpillars? Avoid pests and guide nutrients to the roots of dormant plants. Marvel as plants sprout and produce healthy food for hungry Space Heroes! Jamming at Starstruck Theatre: The local music scene has never been louder. It’s enough to keep Shadowbot and his evil minions away! Heroes have been creating their own bands and rocking out together at the Starstruck theatre. Everyone’s involved, from jamming, to dancing to singing! But don’t wait to be invited, suit up, head down, and fire up the show on stage! Do you have a band? 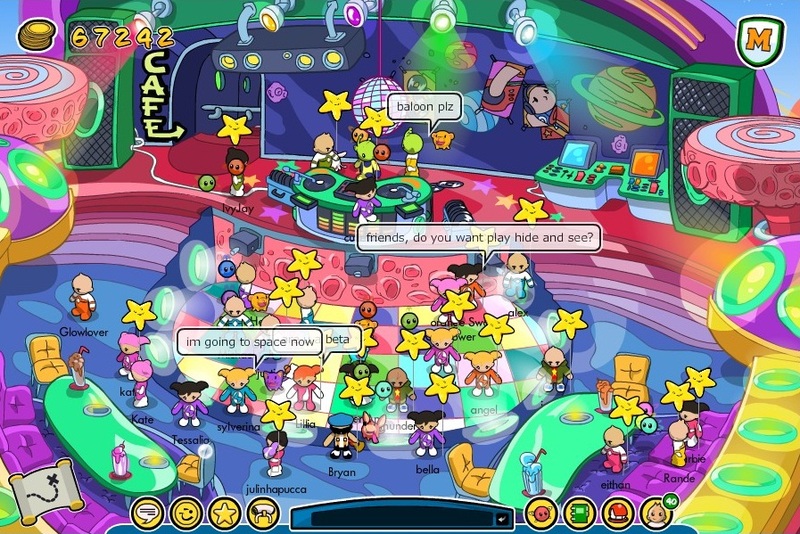 Make sure to keep playing and get other Space Heroes to help you – you can have dancers, ushers, managers, bodyguards and of course fans! If your band hits the big time you’ll get featured in the Galactic Times newspaper! 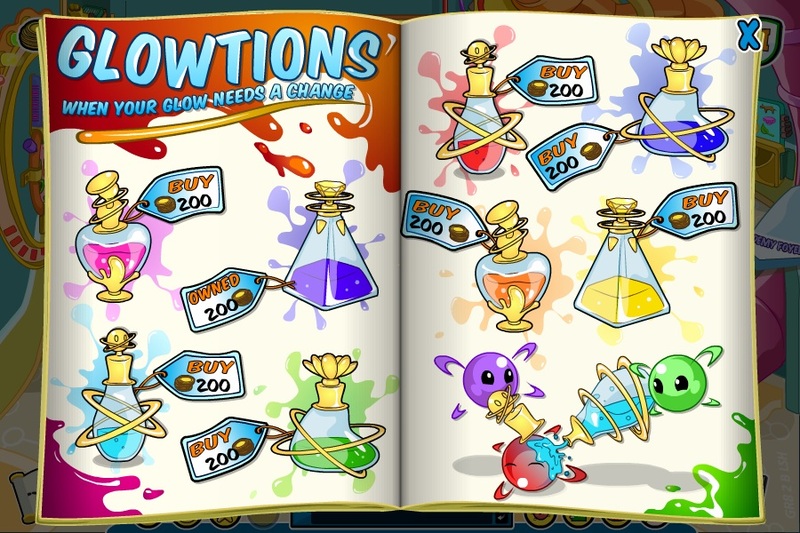 Glowtion Potions: Every hero in game can adopt a magical Glow. These curious creatures love to explore and have fun with hero friends. 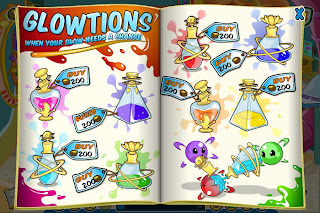 Now, members can buy Glowtion Potions to change their Glow’s hue. We’re sure heroes will be tickled pink with this dazzling new update! Glow Rescue 101: Heroes can develop their piloting skills and become masters of the galaxy as they play this mind-boggling puzzler game. Players control a Starjet that’s travelling around planets and wormholes to rescue lost pilots. Heroes will need to use gravity to their advantage, dodge obstacles and use power ups to complete the increasingly challenging levels. Head to Sparky’s Starjets to play this puzzler now! Crystal Planet Expansions: Heroes can fire up their Starjets and travel to the mystical Crystal Planet, home of the Glows. Now heroes can explore the caverns beneath the surface. They’ll need to navigate mazes and avoid obstacles to find the deeper caves below. There they’ll discover Glowbies – young Glows which they can help grow. Heroes can return the Glows to the surface and slowly help to heal the Crystal Palace which was damaged by the dastardly Lord Shadowbot. 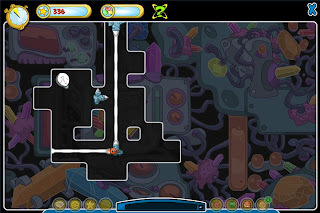 Space Heroes can help Professor Q restore the Crystal Palace by using the Konfabulator to direct the flow of energy around the universe. 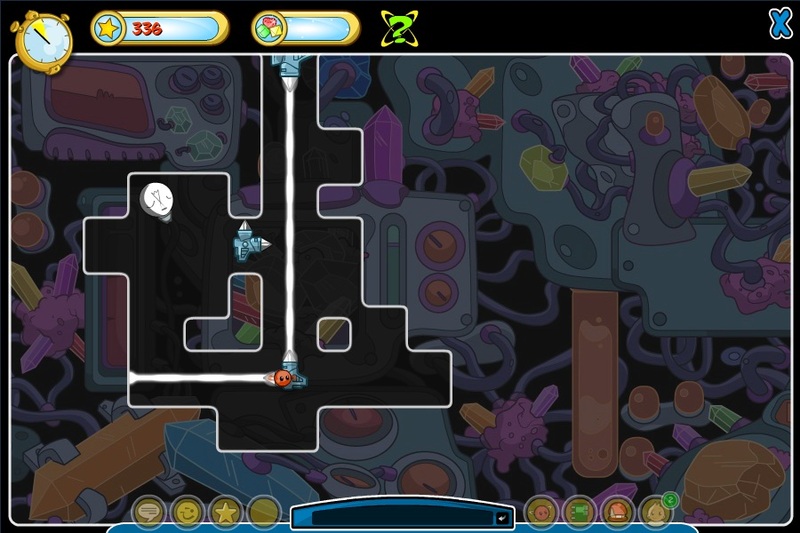 Circulating energy isn’t easy, though; heroes need to use their brains to beam light through tricky mazes. Along the way they have to avoid Shadowbot’s pesky robot Nauts but in the end, they might shine light on the universe’s mysteries! Future updates: There are loads of cool new features in development right now as our artists and developers work their magic. We have over ten new games to roll out including a Pizza game at Astro’s, an awesome new Moon Buggy Game and more. We’re also working on amazing new updates to the Jungle Planet to make this exotic location even more fun – be prepared for incredible adventures as heroes delve through caverns, scale the distant mountains and explore inside the ancient temple. Oh, and our artists have been creating some amazing scenery and environments for the Ocean Planet – it’s going to be one truly splashtastic adventure! Hello, astronauts! Astronomical here! We at LSHNews are going to have a new segment each Sunday called "Spacepad of the Week". We choose the most creative spacepad to go here! So, decorate your homes and start sending us some pictures in the comments below, and your spacepad could be featured HERE! New Badge " Super Space Hero"
Hey Heroes! Astronomical here. A new update adds a new badge to our list to earn! It is called the "Super Space Hero" I didn't earn it yet, but I hope for it soon! This badge is mainly for those who follow the Space Hero Code and help others. It also is for those who help new heroes, and by not cheating! Overall, it's for those who are wonderful helpers. Have you earned it yet? Mysterious Updates to be coming soon? Welcome to LSH Extra, as you can see we have a new website theme! What do you think of it? !